Let’s talk about WiFi. You may find this essential, especially when traveling abroad and you do not want to pay extra for mobile data. But are you sure that the wireless access point provided in your hotel room is safe? What if I told you that using an unsecure hotel free Wi-Fi connection could reveal your bank details or have your identity stolen by a cyber-criminal? Most likely, you have not even thought about it. While free WiFi is enjoyable while sipping a double espresso in your favorite coffee shop, it’s an absolute must when you visit foreign countries for both business and leisure. In fact, according to a recent study, many travelers consider faster wireless internet access more important than room service, a good breakfast, or a hotel location. No wonder almost all hotels offer free WiFi access to their guests. However, the convenience of being able to surf the Internet for free while sunbathing by the hotel pool has its own price: your privacy. WiFi security of the hotel – is there even? The security of the hotel free WiFi is quite lax and the reason is simple: the job of your hotel is to offer you convenience and comfort, not cyber-security. So, in general, they make no effort to protect their guest network. In some cases, to start using the hotel free Wi-Fi, you will need to enter your room number and a password created for that room. However, most of the time, the responsibility for the overall security of the network lies with a single weak password, which is practically like having no password at all. By the way, the latter also happens a lot, because many hotels ignore the authorization step, allowing anyone to join their network. The lack of simple protection and appropriate data encryption is precisely what makes wireless networks very open to cyber-attacks, identity theft and data surveillance. The biggest threat to your privacy is the possibility for a cyber-criminal to insert itself as a secret intermediary between your device and the connection point. In this case, any information that you send or receive via the Internet goes through the hacker. Malicious actors, such as the infamous DarkHotel group, also like to use unsecured WiFi connections to distribute malware. This group has successfully targeted business travelers for over a decade. Using WiFi in luxury hotels around the world, hackers spread malicious files via phishing emails, created individually for each victim and designed to be very convincing. So, basically, every time you connect to an unsecured wireless network, you put your private data at risk. If your hotel free WiFi is on the radar of a cyber-criminal, it may use various techniques to invade your privacy. This article lists the most common hacking methods and explains how hackers use them to spy on their victims and steal their identities or sensitive business information. I highly recommend reading it. Is it safe to use hotel free WiFi for banking transactions? Absolutely not! 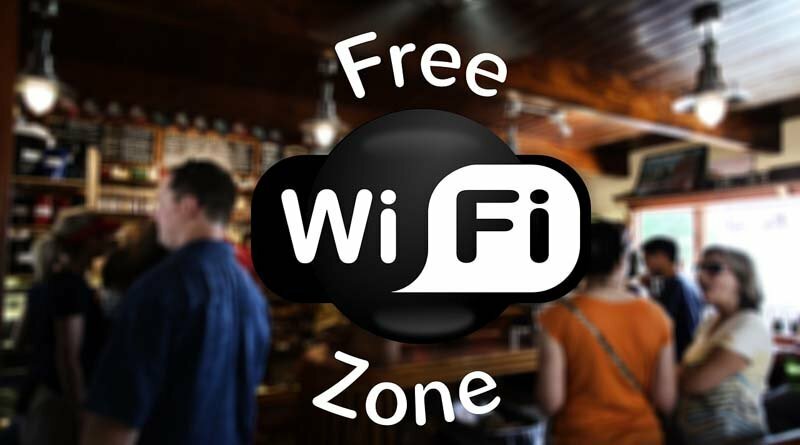 If you connect to unsecured WiFi, every step you take online can be monitored by malicious third parties, also known as hackers. As a result, anyone who manages to intercept a Wi-Fi connection from an unprotected hotel can spy on you by typing in your passwords, login credentials, banking information, and other confidential information. The theft of these details does not seem to be the dream vacation scenario. So, do not even think about checking your bank account on the hotel free WiFi unless you use reliable encryption tools to protect your data. Do hotels monitor their WiFi? It’s hard to say whether hotels are monitoring their networks or not, but one thing is clear: it’s possible to do it. You see, hotel servers are not unique – like other servers, they keep a log file of data transactions made by their users. Your browsing data (the IP addresses you contact, connection / disconnection time, time spent on a website), as well as some of your personal data (name, surname, room number) are on this file and are therefore accessible. . The news is both good and bad – although the management of your hotel cannot see the content of your communications, they can easily find the websites you visit and how much time you spend browsing the Internet. It does not look like private browsing, does it? Is it possible to stay safe on the hotel free WiFi? Be aware of potential risks. If the network is not protected, it is likely that some cyber-criminals will steal your private data. Avoid logging into your business account or online bank accounts and using your mobile data for any financial transaction. It may cost more but keep your money safe. Never join a new network blindly. Hackers create unwanted hotspots to make users think they are legitimate. If you see two similar WiFi names, ask the hotel staff who is the real one. Allow your firewall to stay out of trouble in case someone attacks your hotel network. A reliable firewall provides a powerful defense of the gateway, which causes problems for criminals trying to access your system. Encrypt your data. If you’re a VPN user, I think you know what to do – turn it on whenever you’re about to join a public network. And if you’ve just begun to worry about your privacy and security online, let me tell you more about a simple encryption method that anyone can use. This is called a Virtual Private Network (VPN) – the technology that allows you to stay secure even on unsecured wireless networks. It does this in two ways: by hiding your IP address and encrypting your online communications. Once protected, no one can monitor your online activity. How can a VPN protect my data on the hotel free WiFi? In fact, VPN protection goes far beyond unsecured WiFi. If a VPN is enabled, you can safely browse a public network or any other network. In short, a VPN creates an encrypted virtual tunnel between your device and a remote VPN server. This server acts as an intermediary between the Internet and your system: the website interacts with the VPN server and the server communicates with your device. Since this interaction is encrypted, no one can see which website you are browsing or which data you share online. All they can see is that you are using a VPN – that’s all. It is almost certain that a hotel you are staying in is using open Wi-Fi, which makes you very vulnerable to monitoring and stealing data when you use it. Therefore, a reliable VPN service is a lifesaver when you do not want to use your mobile data, but you do not want to expose your personal information. But does it mean using a VPN in hotel is 100% safe? No! You need to choose a reliable VPN service provider. Everyone likes free stuff, and it’s no wonder some of the most popular VPNs are the ones who call themselves free. Unfortunately, nothing is ever really free, and VPNs are no exception. You may not be paying in dollars, but using a free VPN will end up paying for it at some point. Some of these costs are simply painful, but others can be downright dangerous. They compromise your safety – One of the main goals of a VPN is to protect you from hackers, so it’s alarming that some VPNs can actually compromise your security. They spy on your online activities – In our opinion, this is the worst thing a VPN can do, but unfortunately, it is also the most common. They do not unlock Netflix – Currently, there is no free VPN that reliably releases Netflix. They limit the data you can use – Most of the free VPNs limit the data for free accounts. They slow down your Internet – Having a slow Internet is a recurring problem for poor VPNs. However, a VPN that slows you down voluntarily makes it particularly crazy. They bombard you with ads – The reason why some free VPNs use this approach is pretty obvious. Since their users do not pay them money every month, these businesses need another way to make money. They sell your bandwidth – In addition to showing you ads, the VPN provider has found other ways to make money on the back of their free users: they let their paying users use the power of your device, selling your bandwidth for make profits. In summary, using hotel free WiFi with VPN can protect your data. However, it is essential to choose a reliable provider to take advantage of these many benefits. I started reading your article and realised how lucky I am that I already use a Nordvpn security provider. I travel as much as I can, and of course, when I am staying in the hotel I connect to free wifi, and I even pay my bills and book other hotels or flights. But I never thought that free wifi connection could reveal my bank details or steal my identity.